In most cases, the interviewers will start with a couple of questions that should help them to understand your motivation to do the job, the reasons why you chose their company, your goals, and your communication skills. Why do you want to work as a desktop support specialist (technician, assistant, etc)? Why do you want to work for us, and not for one of our competitors? What would your former colleagues (school mates) say about you? Why do you think you can become a good desktop support specialist? Can you tell us something about your education? Can you tell us something about your past working experience? What were your principal working duties while you worked for XYZ company? Why did you leave your last job, or why do you want to leave your present occupation? You can read a simple analysis of each of these questions, and see sample answers to them, in our article dedicated to most common screening interview questions. The key is to speak with enthusiasm, to demonstrate your motivation, and to show them a clear reason why you want to work for them, and not for some other company. Some job seekers have a tendency to underestimate the screening part of hiring process. But you should not make the same mistake, knowing that most companies will screen out at least fifty percent of job applicants in this stage of the hiring process (the screening interviews can be conducted online, over the phone, or face to face). Regardless of the technical skills and experience of the job applicants, companies do not want to hire employees who lack motivation, or whose answers to basic interview questions indicate wrong attitude to job, or some other issue that will transpire in the workplace sooner or later. After the screening interviews, most hiring managers will proceed to behavioral questions. Your answers to these questions help the interviewers to understand your attitude to various work-related situations and problems. Their logic is simple: An employee who reacted to a certain situation in a certain way (in their last job, or during their studies) will likely react in a similar fashion to the same situation in the future. Describe a conflict you had with your colleague, and how you addressed the conflict. Describe a situation when you went above and beyond with your service (for a person who called you seeking assistance with some technical issue). Describe a time when you had to deal with an angry client. What was your reaction to the situation, and how did you manage to help them calm down? Describe a situation when you did not agree with the opinion (or decision) of your superior or supervisor, and knew that they were wrong. What did you do in this situation? Describe a time when you struggled with motivation in work (becasue you felt tired, becasue experienced personal issues or conflicts with your colleagues, or simply becasue of boredom and repetitive nature of the job). Did you rediscover your motivation, and if you did, how did you manage to rediscover it? 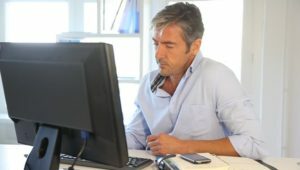 Describe a time when you struggled to communicate something to your boss, colleague, or to a client (for example guiding them in a process of addressing some issue they faced with their computer). How did you eventually manage to get your message over? 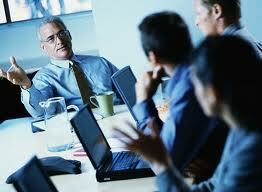 Describe a time when you experienced a conflict of your personal and professional interests. Describe a situation when you were unable to meet your goals in job. Why were you unable to meet them, and what you eventually did to meet these goals? Describe a situation when you were unable to solve the problem on your own. Describe a time when you have effectively resolved another person’s request. What was the situation and what kinds of information did you gather to help assist in resolving their request? Important Note: Many technicians struggle with answers to behavioral questions, and fail in the interviews because of that. If you are also not sure how to answer these questions, have a look at our Interview Success Package – you will find brilliant answers to all difficult behavioral questions, and much more…. Doesn’t matter if you apply for your very first job, or if have been working in this field for twenty years already. Big companies run their training programs, and they will teach you everything you need to know to handle your job (bearing in mind that you posses the basic technical skills required for the position). If they have to choose between an inexperienced applicant with right attitude to conflict situations, to deadlines, pressure, to success and failure, and between an experienced technician who knows how to troubleshoot everything, but who doesn’t have the right attitude to work, the corporations will always hire the inexperienced person with the right attitude. The third part of a typical interview process consists in practical questions. If you apply for a job in a small, or middle sized company (in a company that doesn’t have a training program for new hires, or a working manual for the desktop support specialists), the technical part will be the most important part of your interview. Your answers to the practical questions reveal the level of your readiness to do the job, your ability to jump on board and start helping the clients from day one, without a need of supervision or guidance. Your task is to install the same operating system on twenty computers, all of them in the same network, all of them having the same basic configuration. Define the main steps you will take to carry out the installation with as little interruption of the workflow as possible. One of the users calls you complaining that their computer has been extremely slow for the past 48 hours. Define the process of troubleshooting, step by step. Imagine there is network of fifteen computers and your task is to add a new user to this network. How will you proceed? You have the administrator account and one of the users forgot their password. How will you reset their password? What will you say to the user? How will you instruct them? One of the users complaints that every time they run their web browser, the screen says it can not load the homepage, because a virus was detected, or a malware. How will you proceed in troubleshooting this particular problem? Is it possible to disable firewall in Windows 10? If we can disable it, how will you do it, and in which cases will you proceed with disabling the firewall? One of client’s PCs needs a reinstall. But you need to back up all emails in their Outlook account. How will you do that, bearing in mind that the Windows will not start? Can you make the desktop icons in Windows 10 larger? What is the command prompt to check an IP address of a computer? Any other command prompts you regularly use? What will you do to secure Windows server files, dealing with an operation that can result in losing these files? Define the steps of installing a printer on user’s desktop. You can not boot your Windows 10, because some files are missing. What will you do in this case? Anyone can lead the interview with you. It can be an experienced technician, but it can also be an HR generalist, or an external recruiter from an agency, simply someone who has little knowledge of technical terminology, and how just follows the interview template with each job candidate. 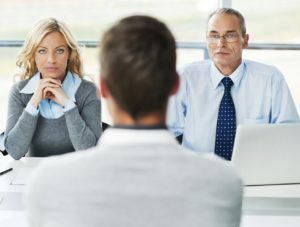 What is more, the interviewers (at least the good interviewers) assess way more than just your technical skills, while they listen to your answers to the technical questions. Will the client understand your instructions? Can you explain your solution in a simple way? Do you talk to the point? The level of motivation and commitment you show when answering screening questions. The attitude to various work-related situations you present when answering the behavioral questions. The readiness for the job which you demonstrate while dealing with technical questions, and short case studies in your interview. The number of people who compete with you for the job, and their qualities. Whether you can convince the interviewers of the value you can bring to their team, whether you can win them over. We hope that this article has helped you to understand each of the points. If you are still not sure, however, consider having a look at our Interview Success Package. Great answers to all difficult interview questions will make life 10 times easier for you in the interview for any desktop support position.